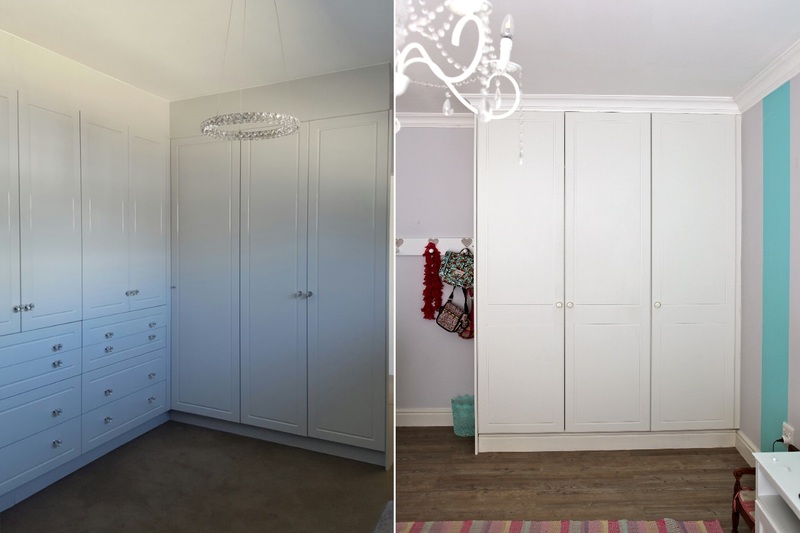 A popular choice for bedroom cupboards in Cape Town is a white Alpine finish with a modern profile. 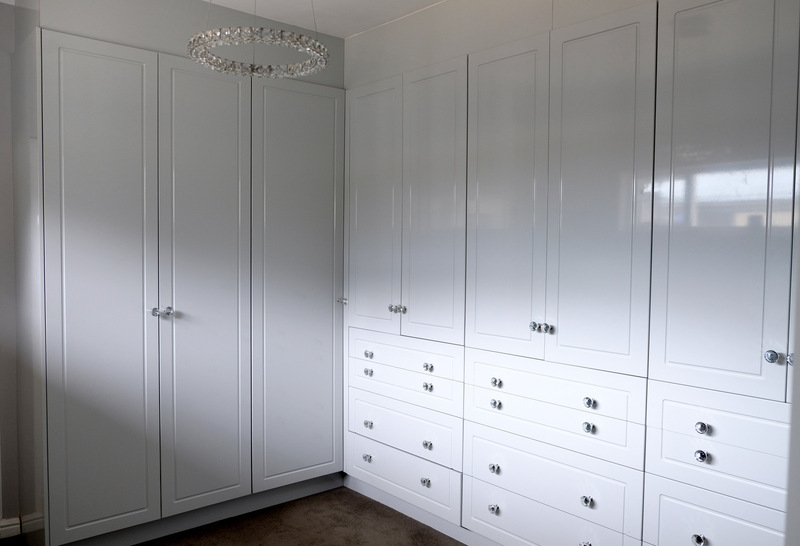 The bedroom cupboard doors are PVC wrapped Supawood. Popular handles are Neptune handles or more classic choices would be crystal knobs or Bastion knobs. See our other bedroom pictures for popular bedroom ideas. Like this project? Let us know! CupboardLine CC 2018 | All Rights Reserved.